If you’re a bit short on cash and are looking for a staycation, or are bored of going abroad for your summer holiday, there are so many amazing places in the UK to visit right on your doorstep! Of course, hitting the capital is a fantastic place to start, and you can’t go wrong with a trip to London. Aside from the West End shows, museums, art galleries and shops that you probably have visited once or twice, why not head to a casino for something a bit different. Choose from a whole host of casinos, including the Grosvenor Casino, The Victoria, The Hippodrome or Napoleons Casino in Leicester Square. Dress up like you’re in a Bond film, grab cocktails and a bite to eat then hit the tables! London is also the perfect destination for the ultimate date night with your loved one. If you’re looking for a fun, camp trip, then head to Brighton! Enjoy the graffiti displayed in the North Laine, check out the quirky Snoopers Paradise and gorge yourself on chocolate at Choccywoccydoodah. With flea markets selling unique goods, an iconic pier to explore and a buzzing music scene, Brighton is an action packed trip! The Isle of Wight feels like it could be abroad, especially as you have to catch a ferry to get to the little island full of sandy coasts and rocky beaches. You’ll feel like you’re living in an Enid Blyton novel with all the walking, cycling and picnic opportunities, but do not fear – there is pubs and wifi for those who enjoy modern conveniences! 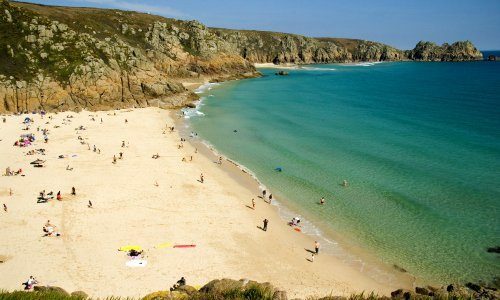 There’s a reason that Cornwall is so popular for holidays and whether that is the golden beaches, breathtaking views, the Eden Project, or the stunning walks, we are not sure. It certainly rivals some European trips regarding beauty and relaxation! If you’re an avid walker, why not head to the Lake District, which is the largest national park in the UK. Check out the Grizedale sculpture trail, try your hand at some watersports or visit the home of Beatrix Potter. There is something for everyone in the Lake District, whether you’re looking for a romantic getaway or an active family trip. Head up to Edinburgh for a trip full of culture, castles and top notch comedy. If you time it well, you could be there for the Edinburgh Fringe Festival, otherwise, you will still find plenty of things to do, from the Royal Botanic Garden to Arthur’s Seat and Gilmerton Cove.